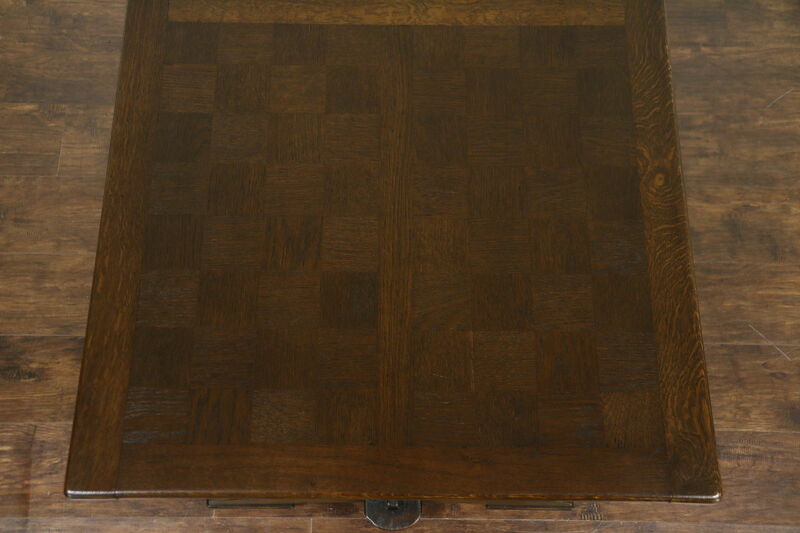 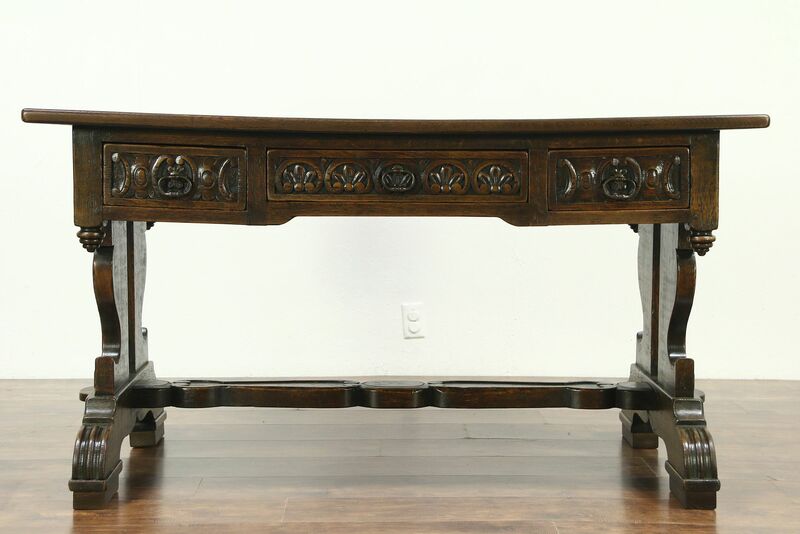 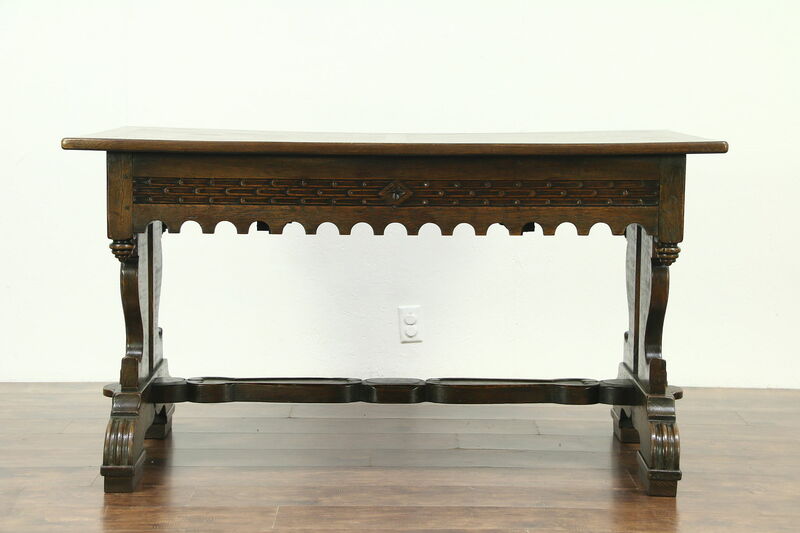 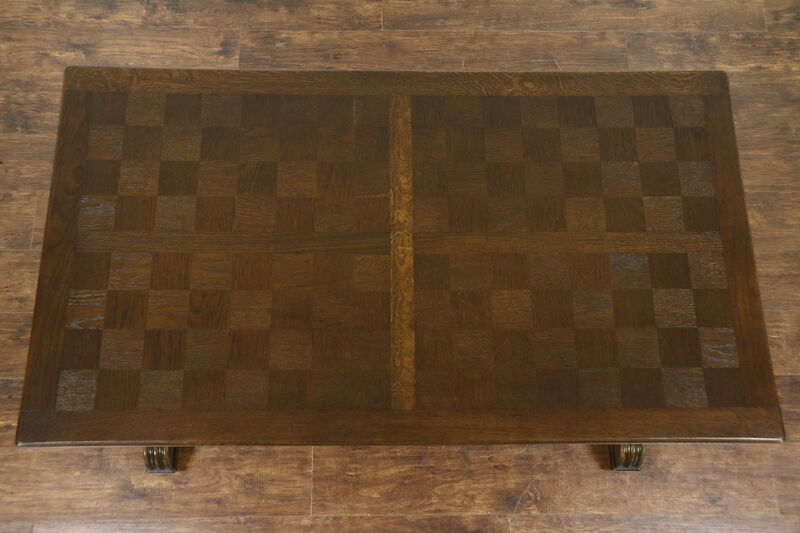 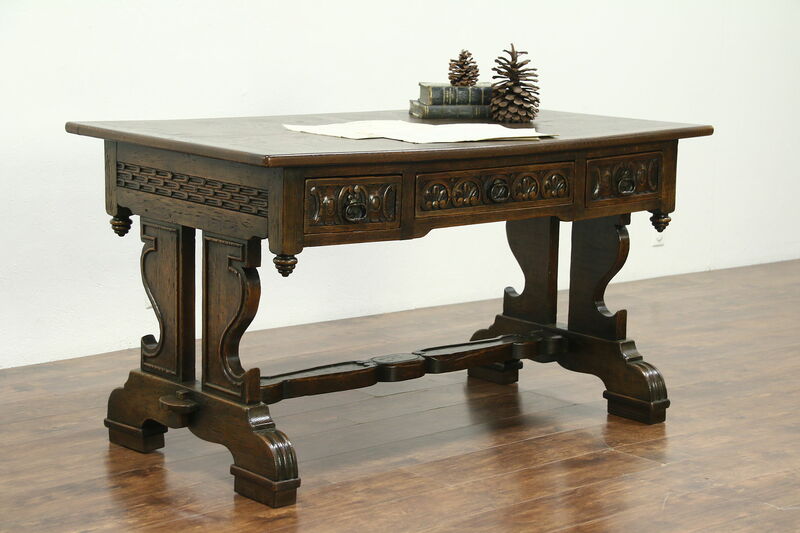 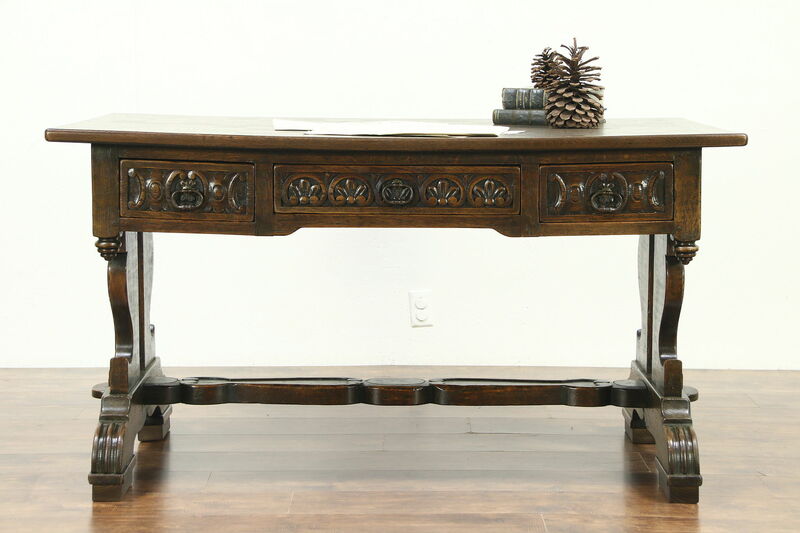 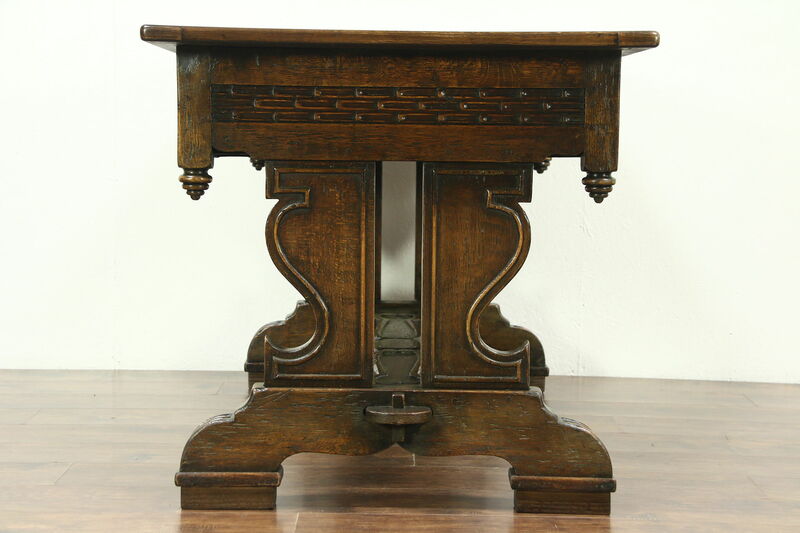 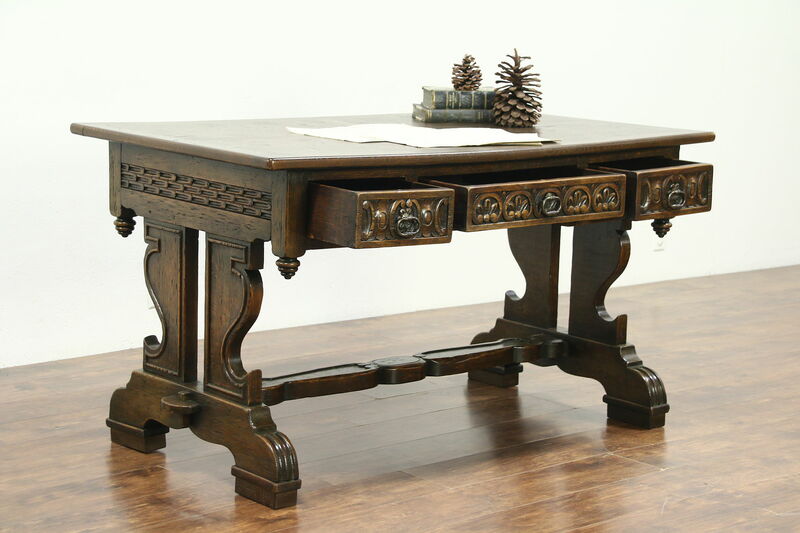 Hand carved of oak in the late 1800's in the Renaissance manner, this Italian library table or desk has a parquet top. 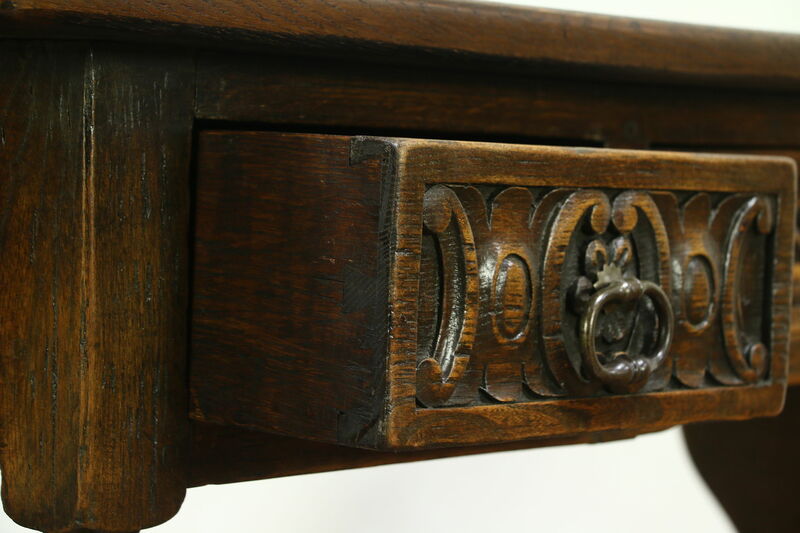 The restored finish is in excellent condition on this antique library furniture. 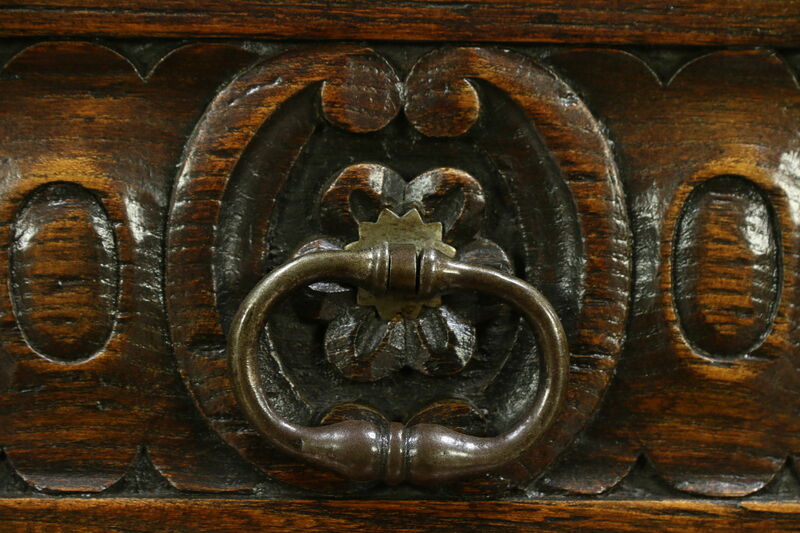 Drawers have hand cut dovetail joints and wrought iron pulls. 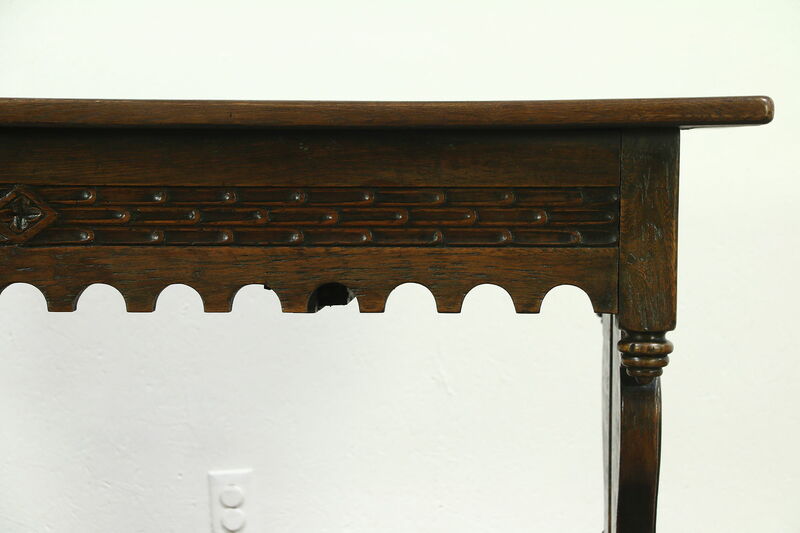 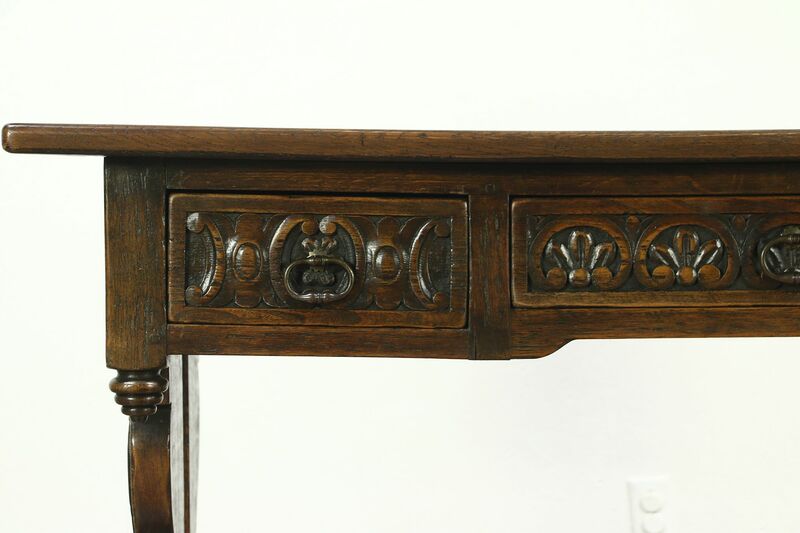 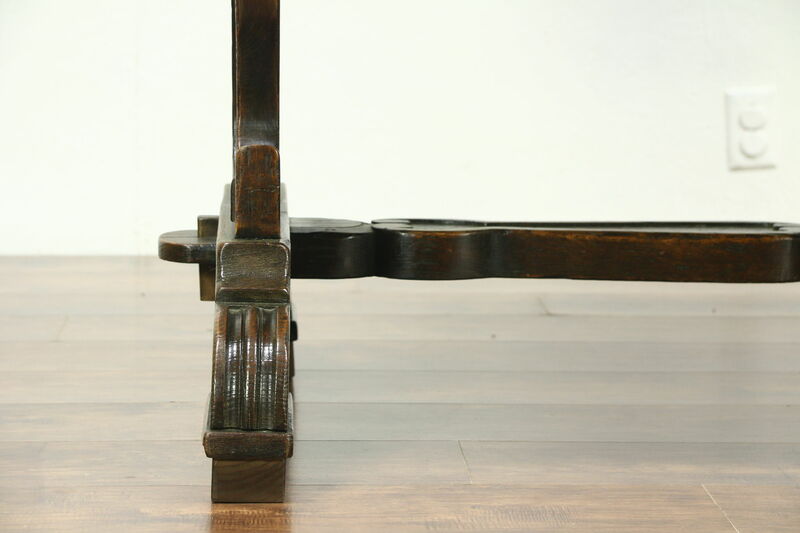 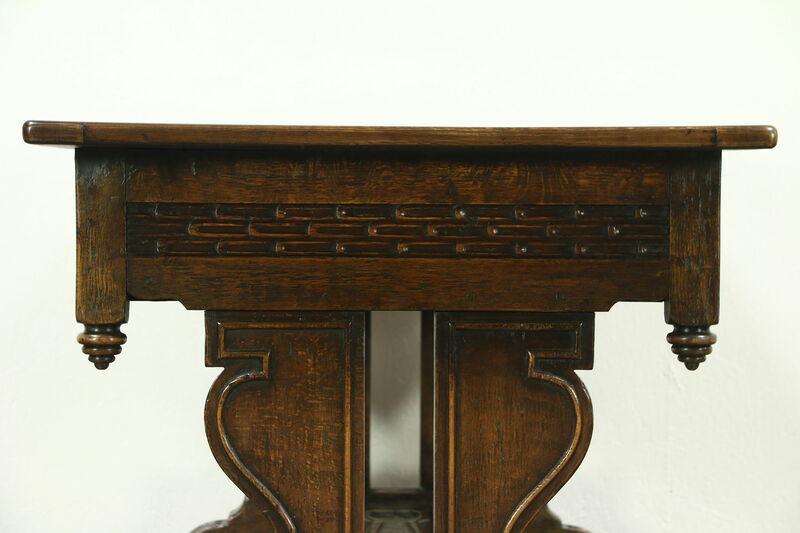 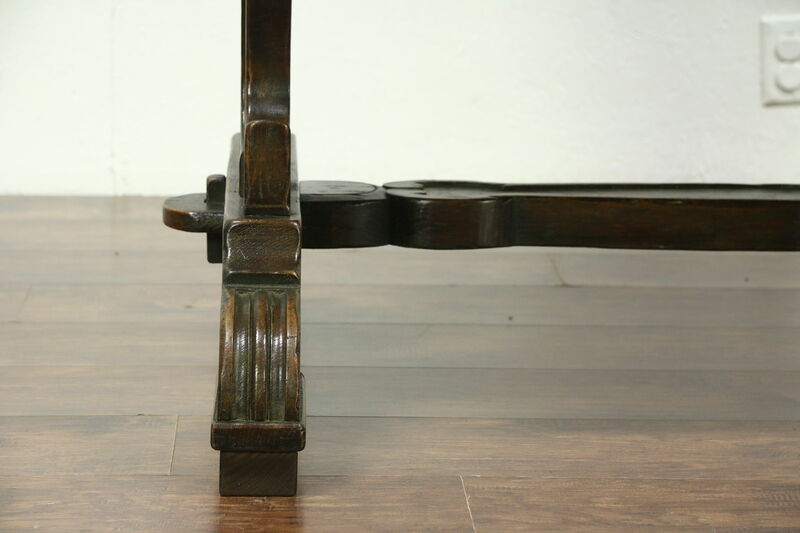 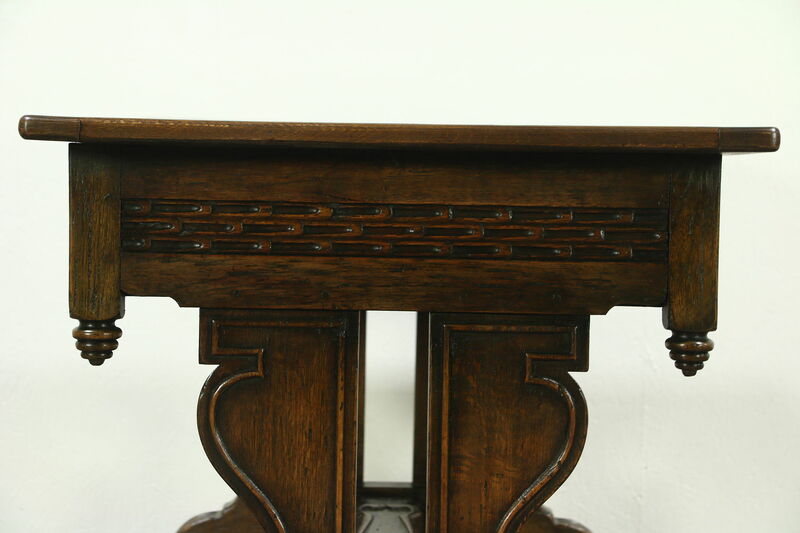 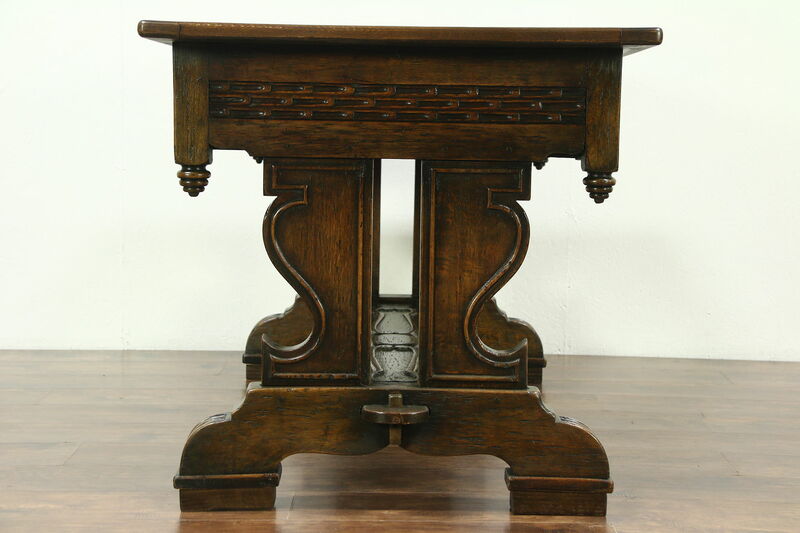 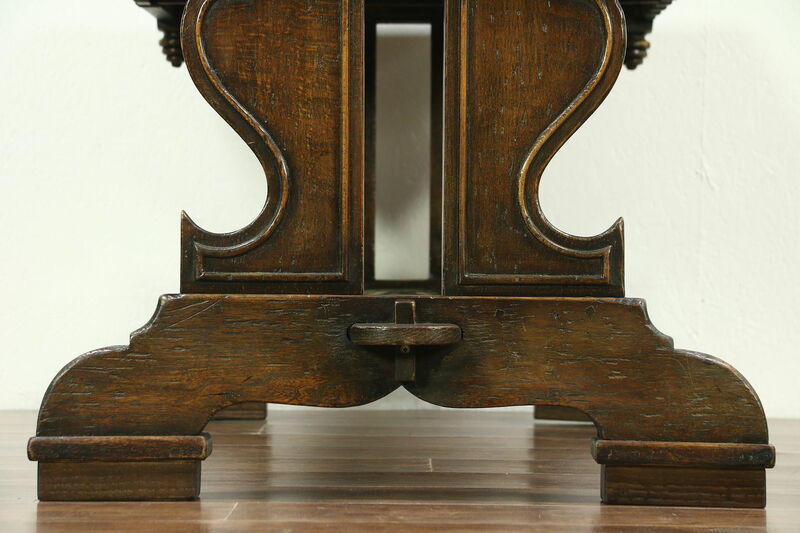 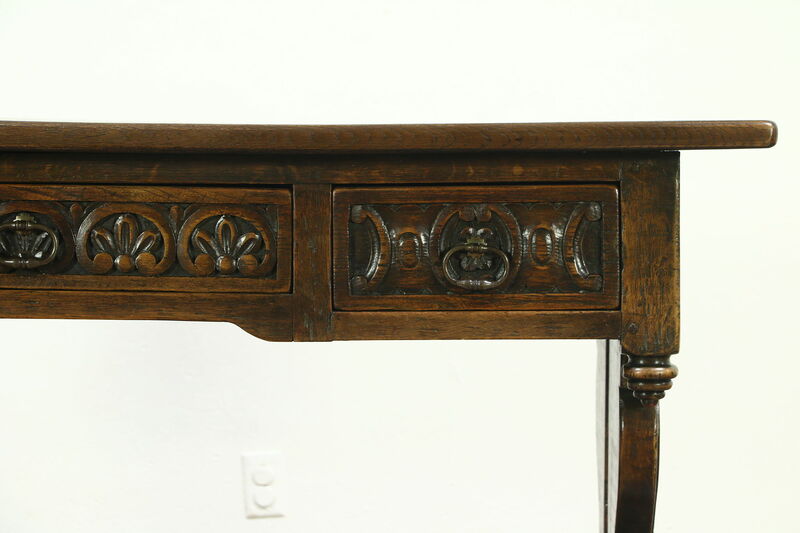 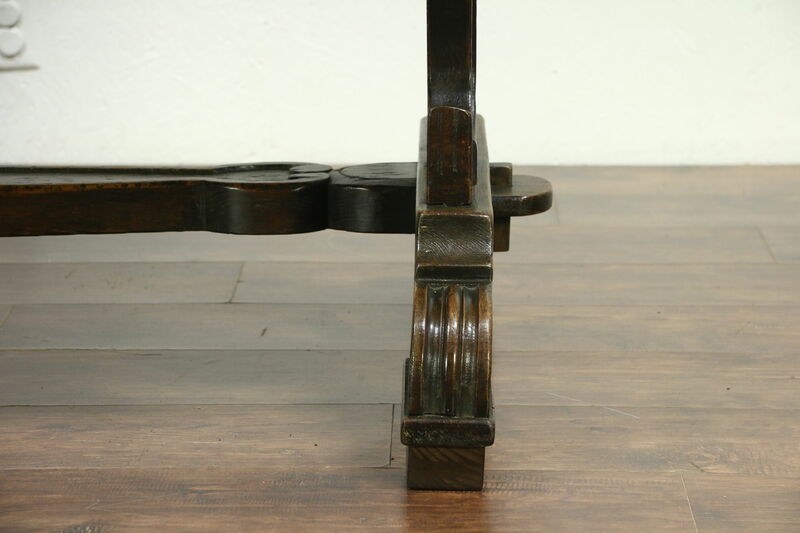 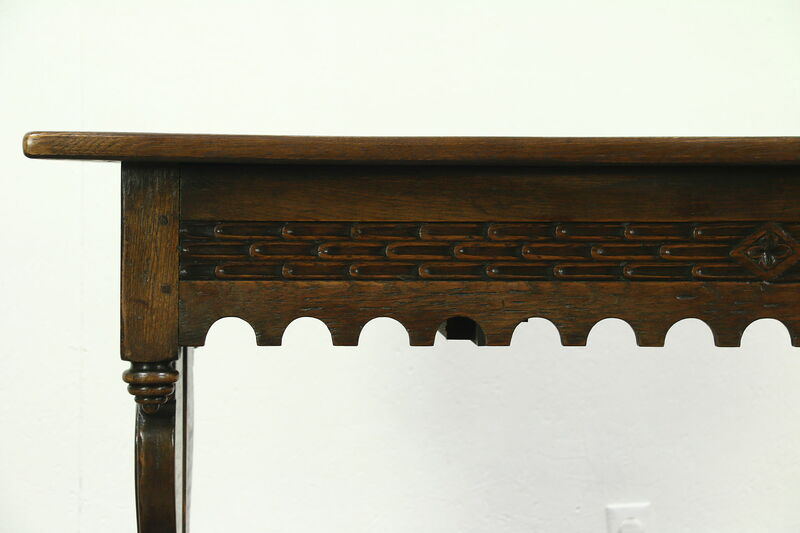 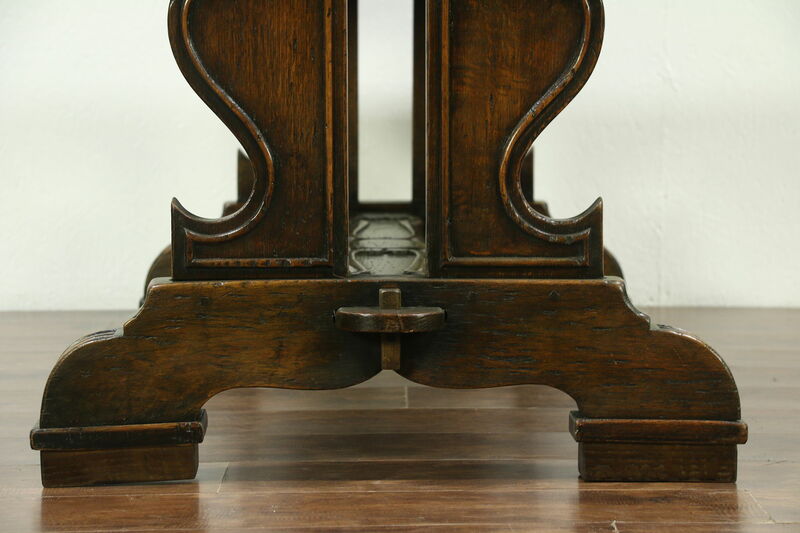 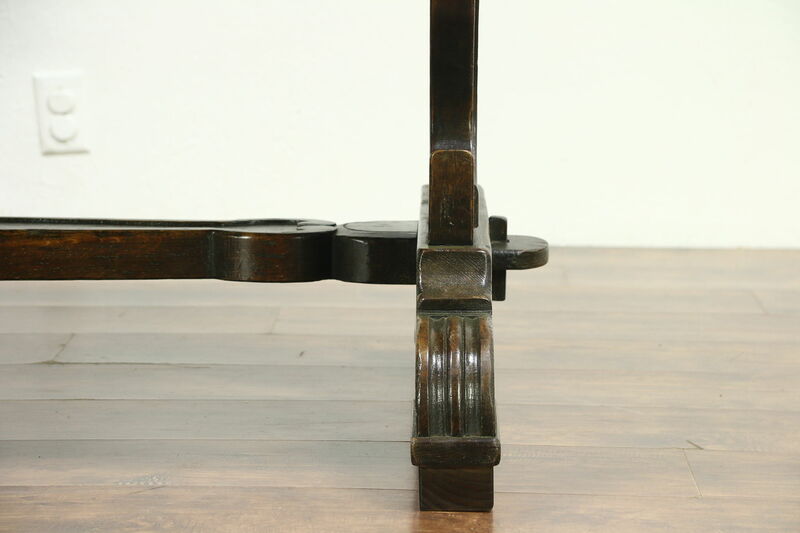 Joints have carved wooden pegs and mortise and tenon joints on this antique furniture. 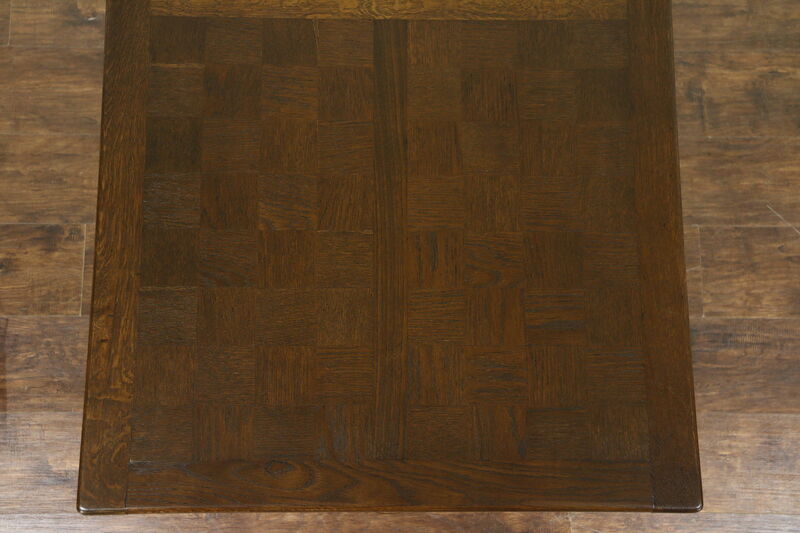 Measurements are 59" wide x 33 1/2" deep x 32" high, and has 23 1/2" of knee room.